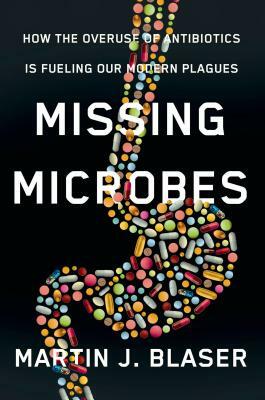 The author of MISSING MICROBES, Martin Blaser, is near the top of the tree in the U.S. medical establishment. He is someone to listen to. Not only is he the head of the Human Microbiome Program – the study of our body’s bacteria – but he has also been the head of the NYU Medical School and the Infectious Diseases Society of America. He is not by any means the first to warn against the overuse of antibiotics, which has led inexorably to both antibiotic resistance – they don’t work as well – and possibly to other problems, like obesity, esophageal cancer, asthma, juvenile diabetes, and celiac disease. All reasons to pay attention! He stresses that it is the diversity rather than the quantity that’s at issue here. We need the diversity to be able to handle new and unfamiliar infections. How do antibiotics do their job? And how do bacteria develop resistance such that they can withstand antibiotics? There are generally three ways that antibiotics inactivate a bacterium: interfering with the integrity of the cell’s wall; interfering with the cell’s protein synthesis; interfering with its reproductive capacity. Some illnesses are therefore treated with more than one kind of antibiotic in order to be effective. Time was when we thought microbes were dirty and dangerous, as indeed some are. However, the microbes that make up the human microbiome are not only our best friends they are also us. Dr. Blaser tells us that 70%-90% of the cells in our body are not human, they are bacteria providing “essential services.” One example is how we outsource the production of vitamin K-1 that is necessary for blood clotting. We count on our bacteria to do that job for us when we share the leafy greens we eat with them. Furthermore, our internal microbes contribute to our immune function via their own antibiotics – which they possess in order to poison their competitors. For these and other reasons, the use of antibiotics has been a mixed blessing. Lives have been saved; but now we find the unexpected costs because – as Dr. Blaser supposes – the reduced bio-diversity within makes us more susceptible to some increasingly common ailments. The rise in esophageal cancer is a curious case as it is in inverse relation to the amount of the bacterium helicobacter-pylori in our stomachs. There is a positive correlation, however, with h-pylori and stomach cancer. If, as the author posits, antibiotic use generally has reduced the h-pylori population in our stomachs, that could account for the drop in stomach cancers and the increase in esophageal cancers. So far, this piece of research like many of the others, reflects correlation, not cause. Obesity is another increase Dr. Blaser dwells on. The long-term administration of sub-therapeutic levels of antibiotics to farm animals in order to spur growth and fattening has meant that people consuming meat, farmed fish, eggs, and milk in this country have also been consuming those antibiotics. If they fatten young pigs and cows and chickens and fish, won’t they fatten our children, too? Avoid Caesarian births wherever possible, as they deprive the newborn of the maternal bacteria in the birth canal. I would add, read my essay “Antibiotic Resistance – and What to Do About It?"